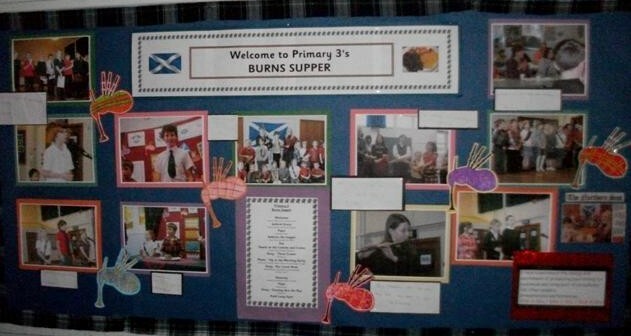 Primary 3U have been working since the start of January on Scottish Foods as part of the whole school Scotland theme held a very successful Burns Supper on Thursday 26th January. The pupils were involved in the purchase, preparation, cooking of the food as well as in organising entertainment with pupils from across P3 to P7 as well as Forres Academy. The haggis was piped in by S1 pupil Johnny Bichan, the Address to the Haggis was delivered by Nathan McRae from P7.